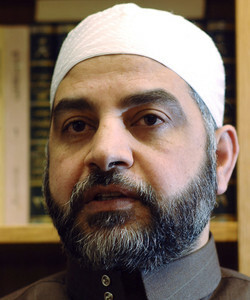 In a June 2007 sermon, Imam Mohammad Qatanani of the Islamic Center of Passaic County in New Jersey condemned Christians to eternal hellfire, castigating them as hypocrites. Qatanani can be heard speaking Arabic in the background while someone translates his sermon into English in real-time. Qatanani: The people who commit such atrocity [hypocrisy] will be the swiftest in punishment on the day of judgment as Abdullah … narrated, the worst punishment that will people be taken are three people – the hypocrites and those who have disbelieved, from the followers of Jesus peace and blessing be upon him have disbelieved after the table came down, and the people of Pharaoh will be swiftly punished as well and they'll be amongst the hypocrites. And Allah subhanahu wa ta'ala says about the hypocrites, the hypocrites are in the lower pits of hellfire.